Lots of luck! 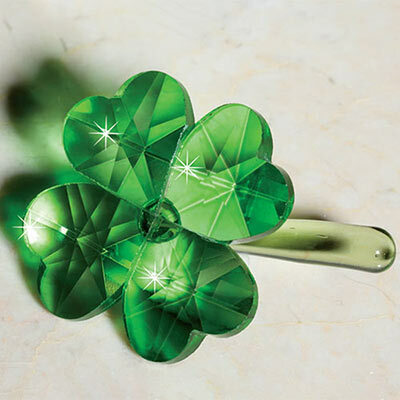 Our unique good luck charm features faceted, bright green leaves attached to a clear glass stem. Give this pretty piece to a crystal collector, recent grad or anyone needing a bit of extra luck. 1¼"h, 2¼"w.